When I photograph couples, I want it to look like I wasn’t there. The connection between two people is really special and it’s enjoyable to make images that show it. Jamie and Cengiz have such a genuine connection that I was able to just stand back and photograph them being together with a little prompting here and there to eek out some smiles! 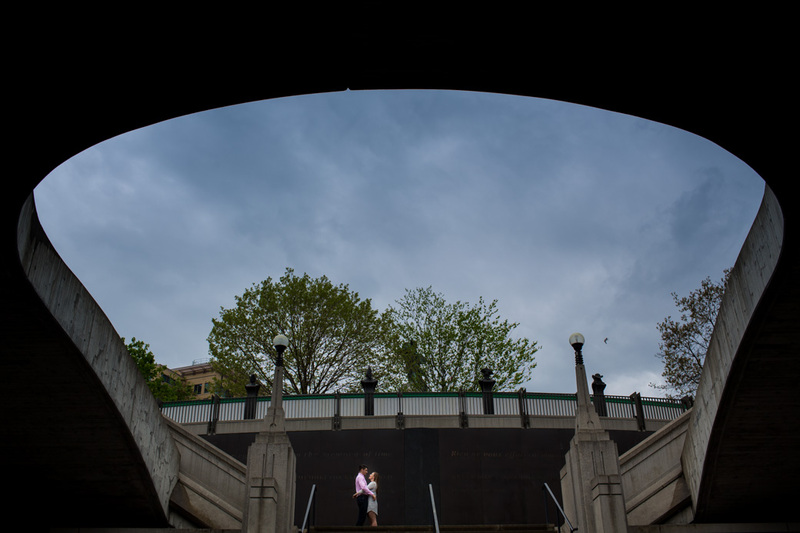 They live in the downtown area and love it so a parliament hill engagement session just made sense. They feel at home and comfortable in the area, so those natural moments between each other just poured out! Oh and by the way, it rained on and off pretty much the whole time and they just rolled with it. In fact, the rain really made the colours on the surrounding buildings pop. Win! And, we stayed mostly dry. Win! Great pictures, you really did capture who Jamie and Cengiz are as a couple, well done!! !